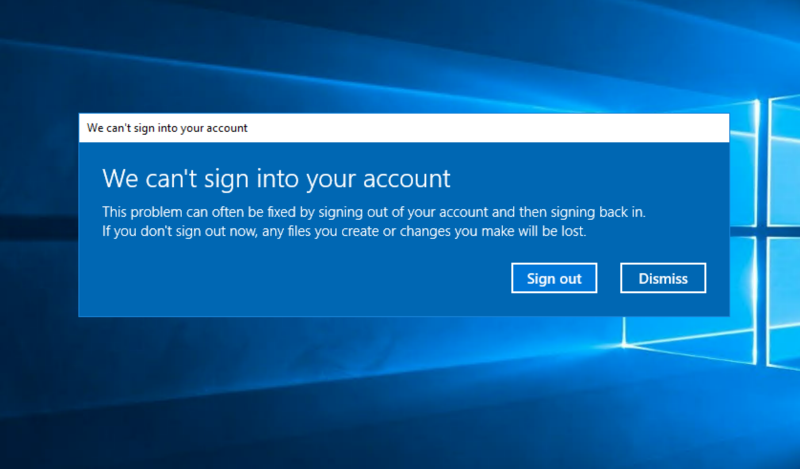 The message below usually appears when there's an issue logging in to the profile and the user logs in with a temp profile. -If the UPD is mounted or missing, the logs will tell you it can't be found. If the UPD has the wrong permissions it could also say access denied. -The disks are stored on the File server in the root of the data disk in a folder called "Profile". Go through the disks and verify that the permissions are set, and that the user is assigned to the disk. To be able to identify which disk belongs to what user, you can use Microsoft's SIDDER application. - Sometimes when a user's profile is locked, the system makes a back up of it, then creates a temp profile for the user to log in with. Click here for step by step instructions on how to clear out the back up and temp profile from the registry. -We've seen cases where the DNS settings were changed, therefore the Session server wasn't able to find the File server to grab the UPD's. -There was another instance where the Session host was also the file server, but since the DNS was changed, the system couldn't resolve who were the users that were set on the permissions for the UPD. It was just showing as a SID instead of the username. DNS is required in a domain in order to resolve machine names and communicate with the domain controllers, without that communication objects such as users are unidentifiable and will revert to their ID. -In order for you as an admin to work with the user's profile, you would need to mount the disk onto one of the sessions hosts so you can manage the information within. You have to always make sure to unmount it when you're finished with whatever work you were doing on the profile disk so the user can access it. If there is a user with a temp profile, go through all the session host servers with your admin account, and unmount any drives you have mounted. Then give the user another try. - The profile disks are set with a default limit of 100GB. Users will encounter issues once they reach the limit. You can always expand it or mount the disk and run maintenance on the files they have on it, just remember to unmount at the end. To expand the disk, see our guide - Expand UPD's. - Admin accounts use UPD's so they are subject to the same limitations. UPD's are created and managed by the Remote Desktop Collection and are applied as computer policies. An admin can log onto 1 session host at a time with their UPD, you can still log onto other session hosts but you'll be logged in with a temp profile. We have seen cases where someone sets up their account to be used as the account for a service to run on a server. This has then left the account logged in after a admin attempted to log out causing their profile disk to be in use. If you are to be needing an account to run services, we suggest either creating a local account on the server, or create a domain service account manually in AD just for services and using that one account for any service/application.